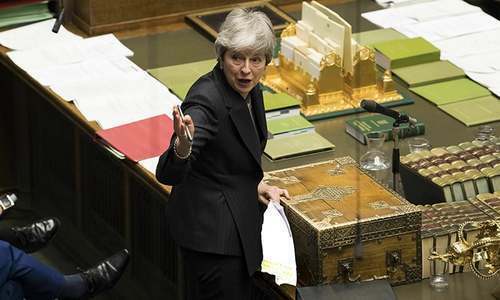 LONDON: Prime Minister Theresa May admitted on Monday she had still not secured the votes needed to get her Brexit deal through parliament, raising again the prospect that Britain could crash out of the European Union in two weeks’ time. With the government’s strategy in disarray, MPs are now expected to begin the process of charting their own way forward — with all options back on the table. 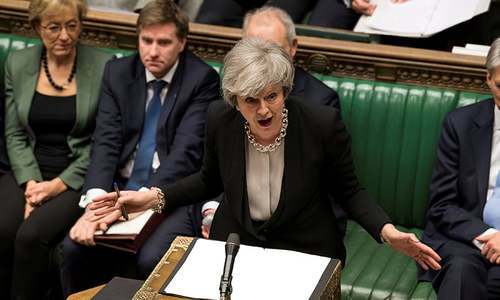 Anxious at the deepening political crisis in London, EU leaders last week agreed to postpone Brexit to avoid a potentially catastrophic “no deal” divorce on March 29, when 46 years of ties were formally scheduled to end. But they warned that unless May can persuade MPs this week to support her twice-rejected withdrawal deal, Britain must come up with a new plan by April 12 — or leave its closest trading partner with no deal at all. 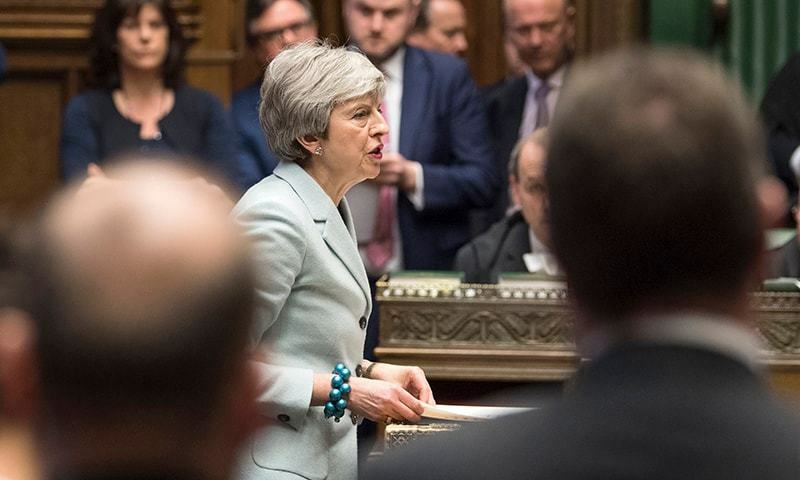 “It is with great regret that I have had to conclude that as things stand, there is still not sufficient support in the House to bring back the deal for a third meaningful vote,” May told the House of Commons. However, she voiced hope this might change in the coming days, warning the alternative could be a “slow Brexit” where Britain’s departure is delayed for a long time. Opposition Labour leader Jeremy Corbyn said the government was a “national embarrassment”, adding: “We will still face the prospect of a disastrous no-deal Brexit.” The EU had earlier ramped up the pressure by announcing its full readiness to deal with the “increasingly likely” event of a no-deal Brexit in three weeks. 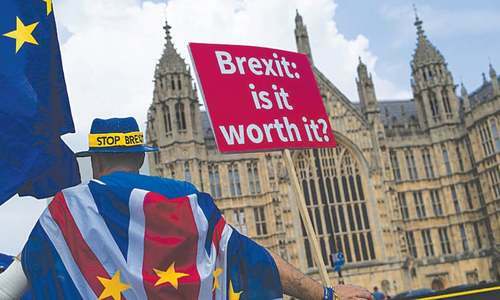 The British parliament remains deeply divided over Brexit, reflecting sharp divisions in the country almost three years after the 2016 EU referendum. It looks as if Brexit is going to exit the May administration.